Over the summer when my skin tends to be a little closer to normal, I've been using the 10% Smoothing Lotion daily. Once the weather gets colder, I'll be using the more moisturizing Smoothing Cream, which includes argan oil and moringa oil. I sometimes struggle with skin care reviews because it can take a long time to see a difference, if any, but the difference with the Glycolic Renewal line (and other AHA moisturizers, tbh) was very clear to me: my skin is so much more even-looking and smooth when I include AHA in my routine. I much, much prefer leave-on exfoliation over physical, and I get better results too. My face is a bit sensitive to a lot of scrubbing--I only use my Clarisonic for about 10 seconds once a week. Not sure why the 5% concentrations seem to have more of putty/beige colour, although the Smoothing Cream 5% does include shea butter. The lotions are definitely much lighter, probably because they don't have shea butter or oils like the creams. One thing to note about the 5% concentrations is that alcohol (not the good fatty kind) is second on the ingredient list, whereas the 10% doesn't have it at all. It could be to enhance penetration for the lower concentration glycolic acid, or something, I'm not sure. It may be a concern for those that are sensitive to denatured alcohol. I'm in this camp, but personally I think the Smoothing Cream 5% has enough moisturizing ingredients to counteract the irritating, drying effects of the alcohol, so I didn't have any problems testing it. Play it safe and go with the lower concentration. 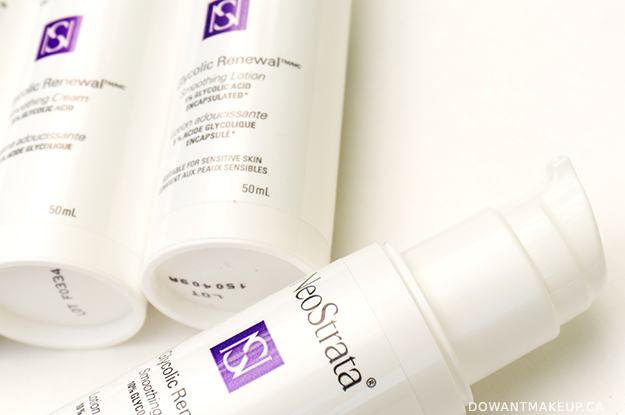 The packaging even states that first-time users should start with 5% in order to build up skin tolerance, and use 10% afterwards. Do not think you can buy 10% and mix it with something else to dilute it and achieve a lower concentration. AHA products are finicky things and are formulated to sit at a certain pH to be effective. Mess with that and you may not see any results at all. Patch test! Some stinging/tingling with AHAs is common, but be on the lookout for redness or other signs of irritation. If it's all good, use infrequently and slowly build up your tolerance. Try once a week or once every couple days and work up from there. Too much too soon, and your skin can get pretty irritated. Even though my skin is fairly tolerant now, even I got some irritation when I got greedy and tried to use it twice daily. Wear sunscreen daily. I mean, I hope you're doing this anyway, but especially with AHAs because they increase sensitivity to sun. Be mindful of the timing of application. If I apply something else on first, I give that 5-10 minutes before I apply the Glycolic Renewal, then wait 5-10 minutes before applying the next step. This goes back to the pH thing: I want things to have time to absorb and avoid inadvertently mixing product and changing the pH. 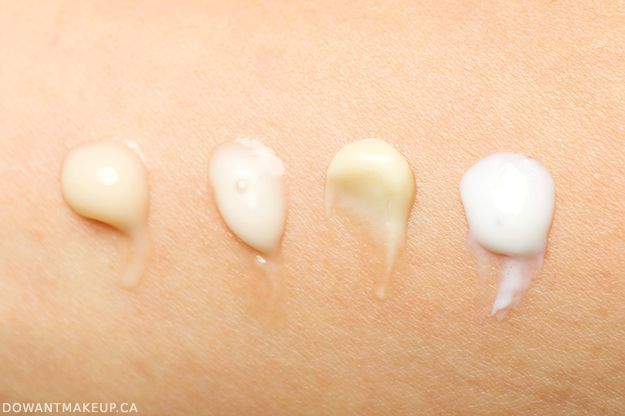 I have experience with AHA products before, so I tested the 5% briefly for review purposes, then skipped ahead and added the 10% Smoothing Lotion to my regular routine. 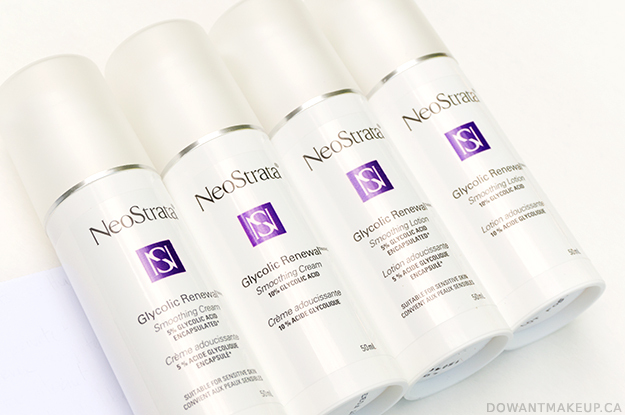 Compared to what I've used before, the NeoStrata Glycolic Renewal line feels very well formulated. It works well under makeup and has definitely improved the appearance of my skin. The only (small) drawback is that they have an odd, musty smell to them. Like wet towel left on the floor kind of musty. It's not great but not so bad that it would turn me off completely from an otherwise great product. All in all, definitely worth checking out, worth the $39 CAD, and I think most people would benefit from adding it to their routine. Last note! 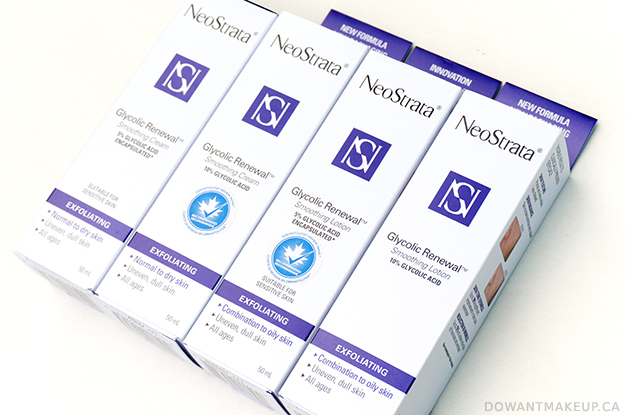 NeoStrata is the official skin care sponsor of the 2015 Vancouver International Film Festival, and they've partnered up with London Drugs to provide skin care consultations on-site at VIFF, September 24 - October 9. If you go to check out top films from around the world and BC, be sure to say hello to the folks from NeoStrata and London Drugs!